North Lanarkshire Council has scrapped alarm charge for sheltered housing residents. Sheltered housing residents have been given some festive cheer with the news they won’t have to pay for personal alarms after all. North Lanarkshire Council has agreed to withdraw the £5 weekly charge for “vulnerable people” in 1,177 sheltered households. The decision earlier this year to start charging for what had been a free service provoked widespread anger. The council said it needed the income to compensate for cuts in Scottish Government funding and pointed out that most other local authorities in Scotland already charged for personal alarms. Councillor Gary O’Rorke, who resigned from the council’s ruling Labour group last month, cited the charge as one of the reasons beind his decision. 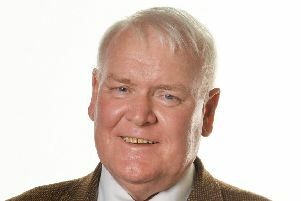 Des Murray, the council’s assistant chief executive, confirmed the partial u-turn. He said: “We are pleased this commitment has been made to ensure the continuation of this free service for vulnerable people living in sheltered housing. “The decision to implement charges for community alarms, which are in line with those already applied by most other Scottish local authorities, has led to considerable feedback from residents and we have listened intently to these comments. Recently Central Scotland MSP Margaret Mitchell raised her concerns on the £5 charge in the Scottish Parliament. She claimed hundreds of pensioners had handed back the potentially life-saving devices because they couldn’t afford to pay. Commenting on the climbdown regarding sheltered housing residents, Mrs Mitchell said: “This decision is a victory for common sense. “Elderly constituents and others who depend on these alarms were understandably anxious about the cost which they simply could not afford. “Consequently, hundreds of these alarms were returned which is why I raised the issue in the Scottish Parliament and wrote to the council on their behalf in October. “I am grateful and greatly relieved, therefore, that the council has reversed its decision. I sincerely hope the council makes a similar decision when it comes to its review in April 2018.